The cleaning or purification of Biogas involves a complex mix of filtration and separation technologies but even the most basic of installations can benefit from the advantages of clean, dry gas. Biogas is an extremely valuable energy source. Originating from biomass, sewage plants and landfill sites it is gaining ever increasing worldwide recognition as a premium source of renewable energy and is making a major contribution to the global energy supply mix by replacing existing fossil-fuel sources such as coal, oil and conventional natural gas. In Biogas production plants, anaerobic digestion is the process that occurs when microorganisms decompose the organic content of the feedstock in the absence of oxygen to generate raw Biogas. The principle constituents of raw Biogas are Methane and Carbon Dioxide with other trace gases also present in differing amounts depending on the feedstock and digestion process. The characteristics of Biogas are comparable to natural gas in that the Methane concentration defines the energy content of the gas – the higher the Methane content, the higher the calorific energy value of the gas. Most of today’s digestion processes produce Biogas which is saturated with Water Vapour and contains varying degrees of other impurities which may cause corrosion, deposits and damage to equipment and should be removed before Biogas is used to produce energy. Gaseous constituents which should be removed (or reduced) as well as Water Vapour include Hydrogen Sulphide, Halogen Compounds (Chlorides, Fluorides), Ammonia, Siloxanes and Volatile Organic Compounds (VOC’s). Biogas also contains dust and dirt particles which should also be removed as part of the raw Biogas treatment process. Biogas produced in anaerobic digesters and landfills contains foams, small solid particles in suspension, greases, particulates and other contaminants which must be removed from the gas by filtration prior to any downstream equipment or pipework. Failure to remove these impurities may lead to a malfunction of devices and processes downstream. It is beneficial to all Biogas production systems to install a coarse particulate filter (around 25 micron is optimal) as a first line of protection for all downstream equipment. 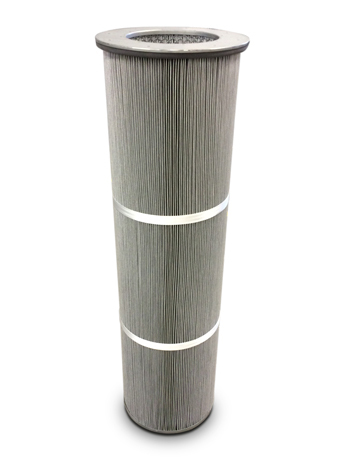 A well designed particulate filter for raw Biogas should combine particle retention efficiency with extremely low pressure drop to produce clean, ready to use Biogas whilst keeping service costs kept to a minimum. It is also imperative that the materials of construction, principally the housing and the filter element, are resistant to the aggressive contaminants in the gas. It is generally accepted that a reduction in water content is beneficial to the CHP system, however traditional methods such as condensate traps and underground pipework cannot achieve low dewpoints which therefore reduces the benefit of removing water. For underground pipework alone to have any real cooling effect, long runs of pipe are necessary which is often impractical, expensive and difficult to maintain and service. 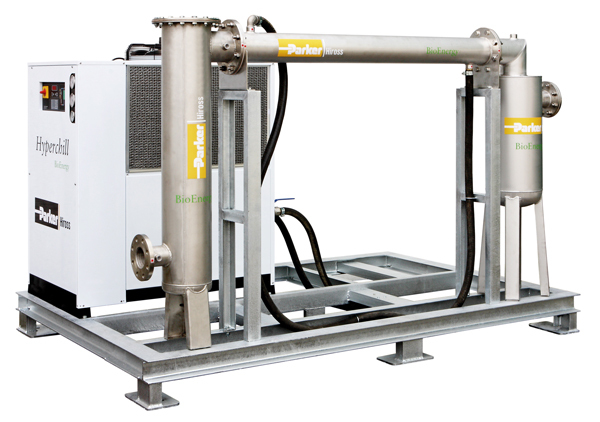 It is also common to use ‘air conditioning’ type chillers for Biogas cooling but these units are not designed to produce low temperature water and either result in higher gas dewpoints or end up operating well outside their design limits resulting in higher energy consumption and reduced service life. Raw Biogas usually has a very high water vapor content (between 30 and 100g Water per m³ Gas) which equates to between 4 and 8% of the total gas composition and reduces the calorific value of the gas. Drying Biogas to a dewpoint of 5°C reduces the moisture content to 1% thus increasing the methane content by around 5% which in turn increases the calorific value of the gas. When ambient temperature drops the gas cools causing water vapour to condense in the pipeline. Condensate can combine with CO2, H2S etc to form an acidic compound causing accelerated corrosion of machines, gas scrubbers, pipelines, buffer vessels, sensors and instruments. The combination of H2S and water produces sulphuric acid and/or ionic hydrogen and the combination of CO2 and water produces carbonic acid. The resulting acidic condensate is highly corrosive and will cause a rapid drop in the alkalinity of the engine oil. Drying the gas to a low dewpoint ensures water vapour does not condense and thus prevents the production of these corrosive acids. With efficient dehumidification it is possible not only to remove the water vapour but also to reduce the concentration of components such as Hydrogen Sulphide, Siloxanes, Ammonia and Halogen Compounds which dissolve in the condensed water. The partial or complete removal of these contaminants improves the efficiency of the whole plant and greatly reduces maintenance costs and plant downtime. Unlike petrol and diesel fuels, gaseous fuels generally do not have to comply with strict quality specifications. For this reason, the manufacturers of cogeneration engines issue Technical Instructions to ensure the fuel gas is of sufficient quality to prevent any negative effects on engine performance and service life. In terms of water content, all the major engine manufacturers are clear in stating that water condensate in the fuel gas pipes or engine is NOT acceptable. Installing a cooling system to dry the gas to a low dewpoint will ensure that water vapour does not condense in the gas pipe and thus meet the Technical Instructions of the major gas engine suppliers. Desulphurisation of Biogas is necessary to prevent corrosion, avoid high toxicity levels, reduce frequency of engine oil changes and prevent problems in the combustion process. Depending on the feedstock, H2S levels can vary considerably with typical concentrations ranging from 100 to 3000 ppm. The simplest of the 3 processes uses air directly injected into the fermenter and/or a bioscrubber to absorb the sulphur into the washing liquid. This process is often used for bulk removal of H2S. Based on chemical reaction of H2S with iron oxide or iron salts the process can remove high concentrations of H2S to low levels but a balance against operating costs needs to be achieved. The most common example is the use of Activated Carbon which can be untreated, impregnated or doped to improve efficiency. The high replacement costs make this process more suitable for fine desulphurisation or polishing after a biological system. Recent years have seen a marked increase in the use of siloxane-containing products, a substantial amount passing through to waste products both in sewage and landfill sites. As the gas produced from these sites is used to power Biogas-to-energy units, without treatment a substantial increase in the effects of the siloxane contamination will be seen in the form of crystalline Silicon Dioxide (quartz/sand) building up on the combustion surfaces inside generating engines. In addition to damage to engine components, affected engines run inefficiently producing excessive emissions particularly of carbon monoxide and NOx. The result is increased operating costs, decreased electricity production and increased pollutants. There are various technologies commercially available for the removal of Siloxanes from Biogas. The most common are adsorption based systems using media which can be regenerative or non-regenerative. For lower concentrations of Siloxanes, Activated Carbon is often used as an adsorption media. Activated Carbon can remove Siloxanes to very low levels but has high operation costs due to the need for frequent replacement and the disposal of the hazardous spent media. For medium to high concentrations of Siloxanes, the higher capital investment of a regenerative system is often justified. Regenerative systems can remove Siloxanes to low levels with adsorption media lasting much longer than carbon based systems. 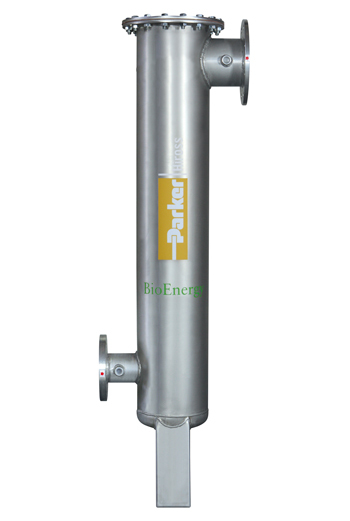 The PpTek BGAK Siloxane Removal System manufactured by Parker for example can guarantee media life of 5 years during which time siloxane concentrations will remain below 10 mg/m3. Raw Biogas can be ‘upgraded’ to biomethane which essentially means it is refined to Natural Gas quality and can be injected into a gas-grid or used as vehicle fuel. To reach pipeline quality the gas must be upgraded to the correct composition for the gas distribution network to accept. Prior to upgrading, the gas should be conditioned (see Raw Biogas Treatment) and in the case of Landfill and Sewage Gas applications, Siloxanes and VOC’s should be removed (see Siloxane and VOC Removal) - The efficient removal of VOC’s such as Limonene and other Terpenes is particularly important as they can mask the odorants added to the upgraded gas as a safety requirement. The cleaning or purification of Biogas involves a complex mix of filtration and separation technologies but even the most basic of installations can benefit from the advantages of clean, dry gas. 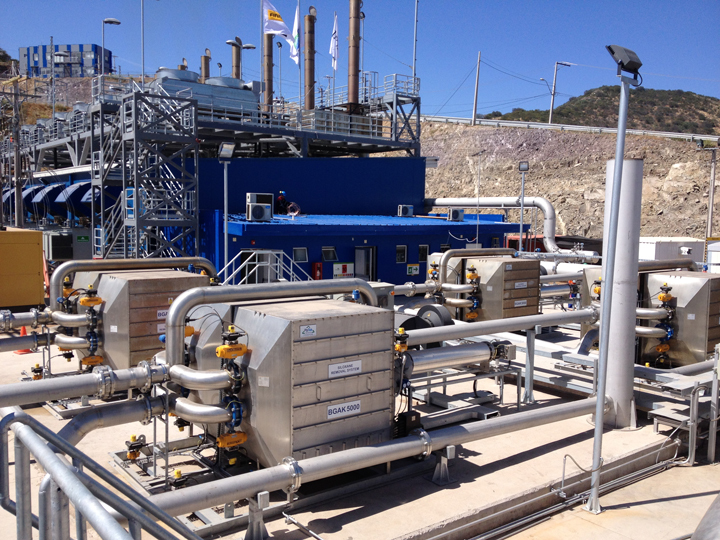 For power generation, gas engines are a significant investment in terms of capital and operating costs making the investment in effective and efficient Biogas purification an even more important consideration. This applies even more so for Biogas Upgrading applications where the processing plants need a high degree of protection from contaminants and the gas-grid specifications strictly insist on clean, dry biomethane before injection can be permitted. With annual sales exceeding $13 billion in fiscal year 2014, Parker Hannifin is the world's leading diversified manufacturer of motion and control technologies and systems, providing precision-engineered solutions for a wide variety of mobile, industrial and aerospace markets. The company employs approximately 57,500 people in 50 countries around the world. Energy Grid Tie Division manufactures grid tie inverters and systems for PV solar and energy storage applications. Parker is the world's leading diversified original equipment manufacturer of motion and control technologies and systems, providing precision engineered solutions for a wide variety of markets, including power generation. As a collaborative partner, we work one-on-one with you to help create cleaner,more efficient energy. Whether for nuclear, coal-fired, gas turbine, and combined cycle plants or biomass, hydroelectric, geothermal ,wave tidal, wind, and solar. Our solutions reduce costs and optimize performance. Faster and more efficiently. Booth #3174 - Parker Hannifin's advanced solutions include megawatt scale solar inverters and hydraulic motion systems for both PV and CSP, as well as engineered sealing solutions, thermal management solutions, and the most complete line of fluid connectors in the world. With HAS we have combined the controllability of electromechanical actuators with the power density, longer life and resistive force capabilities of traditional hydraulic systems. The resulting hybrid offers robust, long-life tracking solutions for solar power and actuation systems for wind, hydro and other renewable energy systems, as well as fossil fuel applications.